What separates a professional grade monitor, like the NEC PA242W, from a similarly designed consumer display? 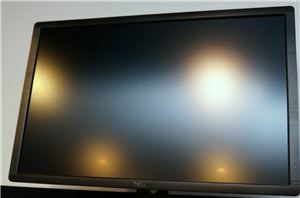 You can easily go to Dell and find a 24”, 1920x1200 resolution display with GB-LED backlighting for a few hundred dollars; why are displays like the NEC PA242W worth almost twice the price? Are they just coasting off the reputation they had from their CRT days, or do they engineer their LCD displays in a way that set them apart from everyone else? I set out to examine the PA242W and find what it offers that sets it apart from the competition.